Skipping from one island to the next has left the centenary edition of the Giro d’Italia to play out the first exchanges between the general classification contenders upon the Sicilian slopes of Mount Etna. 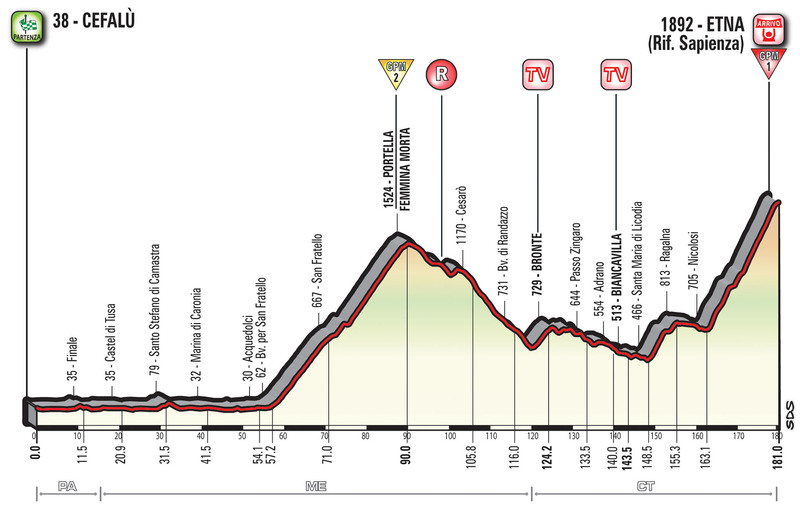 An extremely tough summit finish for the race’s fourth stage will come as a shock to the system for many, charging headlong into a 181km trip from Cefalú to Etna, built entirely around the ascent of Portella Femmina Morta and the volcanic finale itself. The peloton are afforded almost 60km to get their legs back into motion after the preceding rest day, and they shall need it once they ride onto the opening slopes of the Category 2 Portella Femmina Morta. Lasting a soul destroying 32.8 km would be enough for many to simply climb off their bike upon its average gradient of 4.5% (max. 8%), but combined with the subsequent rise to Etna, this is one of the worst stages for anyone to experience a bad day in the saddle. The Category 1 climb to Etna’s summit lasts 17.9km and averages 6.6%, but the constant fluctuation of gradients is what will make it so hard for the riders to find a rhythm more than anything else, while the steepest slopes max out around 12%. 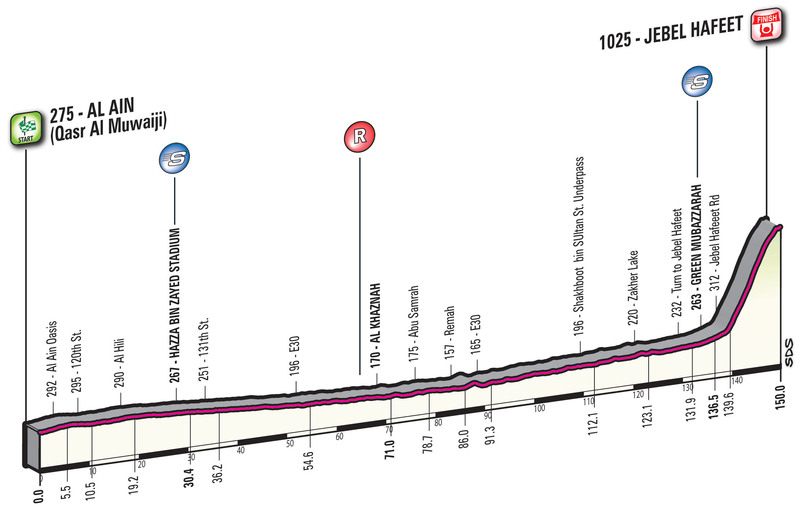 With the GC riders keeping close tabs on one another, it might be the chance for the breakaway to take the glory, but the prestige of winning this stage in the 100th edition of the Giro d’Italia may prove an irresistible honour for some of the race’s biggest names. Vincenzo Nibali has long been gifted the moniker of The Shark of Messina, his hometown being placed just over an hour away from today’s summit finish and a rare chance for Nibali to take the maglia rosa on his native island of Sicily. Though it may not prove a wise tactical move in regards to the entire three week contest, riders share a great love for winning races or stages close to home and it is that which marks Nibali out as a threat today. With weather forecasts predicting relatively strong winds once again, it could prove tough for the Italian rider to break free of his GC rivals, let alone the fact he has shown little to inspire beyond his Tour of Croatia win so far this year. Regardless, this is a huge opportunity for Nibali to take glory on his doorstep and a strong headwind compacting the peloton may just allow his prowess with decisive last gasp attacks to secure Stage 4. Thibaut Pinot enjoyed a successful time at the recent Giro del Trentino and has convincing form when it comes to winning major climbing stages such as this. His greatest weapon on Stage 4, where the wind may negate attacks for the most part of the day, is his surprisingly strong sprinting ability compared to those expected to finish alongside him. Though he has improved a great deal in time trials, there is no doubt he shall be fearing the loss of time in the two mid to long distance TTs which feature in this year’s race, making the chance to gain an early advantage here clearly appealing if possible. Ilnur Zakarin had to endure his dose of bad luck during the opening three days of the race and will now hope nothing but good fortune remains between himself and the last day in Milano. Having already conceded 20 seconds, the Russian rider will be allowed a greater degree of freedom than had been originally anticipated on Stage 4, offering him the chance to regain lost time and take the maglia rosa. His explosive approach to racing stages like this looks ideal, able to open up gaps rapidly with his strong acceleration and also one of the fastest sprinters likely to be present in a lead group on Etna. Geraint Thomas is fully aware that he needs to capture time over his rival Nairo Quintana at every opportunity possible in order to head into the two crucial time trials able to put time into the Colombian, rather than having to recoup it himself. The Welshman’s showing at the Giro del Trentino looks to be a firm foundation to be entering this grand tour upon and he is not afraid of attacking late in a stage to secure crucial seconds if able to. He should not be dropped by his rivals on the day’s climbs, but whether he is able to distance them is much harder to forecast, especially given the complex team tactics within Sky’s incredibly strong rosta of climbers at the race. Nairo Quintana seeks to tackle the Giro – Tour double in 2017, so will be wanting to keep his powder dry for as long as possible during these early stages of the race, hoping to deal his damage in the final week to Milano. The Colombian will be entering the contest with the intention of riding himself into his best condition, making attacks as early as Stage 4 seem unlikely, though it will certainly be a tough ask to dislodge him in order to gain time from the pre-race favourite. Other riders who all show potential for taking the win from either the day’s breakaway or a late solo move are Adam Yates, Omar Fraile, Mikel Landa, Pierre Rolland, Hugh Carthy and Kenny Elissonde. La Vuelta a España once again looks to the team time trial to raise the curtain on they season’s final grand tour. An immensely testing and technical discipline, this 27.8km route from Ourense to Parque Nautico de Castrelo de Miño will prove a rude awakening for many in the peloton with only a handful of teams likely to relish this arduous opening to the race. The road rises immediately from the start, but soon becomes a more manageable rolling profile which will quicken the pace in the first half, before then offering up wide roads that shall prove ideal for laying down a huge wattage all the way to the line. A day for those who can generate and sustain large power outputs, this team time trial will be an extremely fast introduction to the next three weeks of life at La Vuelta a España. Movistar have become one of the most consistent performers in this discipline, combining engine power with technical skill to great effect. Like the majority of teams at this year’s race, the composition of the squad leans strongly towards climbers, but Movistar look to have the strength required to perform competitively on today’s course. Though Jonathan Castroviejo is the only true specialist present for them, the likes of Alejandro Valverde, Nairo Quintana and Rory Sutherland are all capable of putting in a performance to match him in this short challenge. Sky may not have their ideal set of riders available for the opening day’s team time trial, but they shall remain motivated to secure a good performance in this highly pressurised discipline. Though they have riders competent in a time trial such as Chris Froome and Michal Kwiatkowski, there will be concerns that the gulf in ability to the likes of Ian Boswell and Michal Golas is greater than that of other team’s rosters in contention on Stage 1. BMC are the reigning world champions in this specialist exercise and will hope this foundation propels them onwards to success by the end of the first day. Unlike many here, their strength appears to stem from a lack of any true time trialist within their ranks, thus calling upon them to function efficiently as a whole team which does not expect one or two riders to carry the greatest load. It will be interesting to see how this approach performs in comparison to the likes of Movistar or Sky and their greater number of true TT riders. Others who could all challenge for a podium place are former world champions Etixx-QuickStep, Tinkoff and Orica-BikeExchange. Instead of providing us with drama drip by drip throughout this grand tour, yesterday’s stage felt as if the Giro d’Italia had decided to serve up everything in one go; crashes, abandonments, a maglia rosa lost and a champion resurrected. Ilnur Zakarin left the race with a broken collarbone, while Steve Kruijswijk lost possession of the pink jersey after crashing into a snow bank and now appears set to abandon having sustained a fractured rib. Today is the final day in the mountains and thus the last chance for a rider to win this race with one last gasp attack when it counts most. 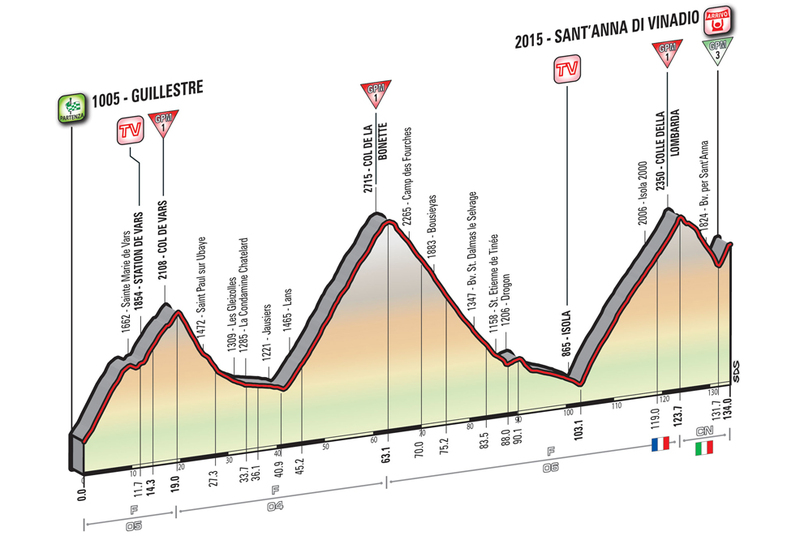 The short 134km stage from Guillestre is sure to be explosive, taking in three Category 1 ascents, then finishing upon a Category 3 climb all the way up to the finish line at Sant’Anna di Vinadio. The general classification now sees its top four riders all within two minutes of one another and only the processional ride into Torino is left beyond today; the fuse is lit here and it wont be long until the Alps echo with a bang. Vincenzo Nibali has once again revived a grand tour campaign from the brink of demise with one fantastic day in the saddle. The Italian champion dropped all of his rivals on Stage 19 and is now within touching distance of placing the pink jersey upon his shoulders with the last arduous mountain trial before Torino. Much of Nibali’s potential success today will be dependent upon another strong performance from his Astana teammates, who on this crucial stage, are anticipated to make life hell early on. The plan will be to isolate Esteban Chaves by dispatching his limited Orica-GreenEDGE support before the battle for the maglia rosa has even really started. Nibali’s performances in the third week of a grand tour have often been unrivalled and it certainly looked that way again, Chaves unable to follow him in the final moments of yesterday’s stage. The finale itself suits his Colombian rival neatly and Chaves will focus upon riding defensively throughout the day in order to conserve energy, so Nibali will need to have recovered well from yesterday’s efforts in order to gain enough time to take the pink jersey; do not forget the ten second time bonus for the stage winner too. Esteban Chaves came the closest we have seen to truly blowing up at this year’s Giro d’Italia, but maintained a steady enough pace to come home third and take the leader’s jersey with one final test remaining. As mentioned previously, Chaves is likely to become isolated very early on here as Astana whittle down his support as soon as possible. Due to being race leader though, Chaves needs only to follow the attacks of the day; easier said than done. Should he approach the line alongside the likes of Nibali, he may just edge out the Italian on a finale which suits him well. Alejandro Valverde has been unable to stick the pace of the true overall contenders for the Giro title, but will be confident of sealing another podium place at a grand tour by the end of Stage 20. The Movistar leader even has a chance of another stage win if he makes it to the line within the lead group; the uphill run being the ideal terrain for Valverde’s turn of pace. Mikel Nieve finished second yesterday after pacing his final ascent very well indeed, his performance also sets him up well as the lead protagonist in today’s sub-plot; the mountains classification. It seems certain that Nieve will join the breakaway and aim to sweep up the large amount of points on offer throughout the stage to take the maglia azzura on the last day in the Alps. Current leader Damiano Cunego will need to follow Nieve or use teammates to try and protect his lead in the competition, but his chances look slim after a poor showing yesterday suggested he may have finally cracked. Two breakaway candidates who have still yet to secure an elusive win are Joe Dombrowski and Darwin Atapuma. Both have shown they have the form to do so, yet have been unlucky to not make the grade, especially Atapuma on Stage 14. With today’s stage their final opportunity to steal a win from the general classification riders, it is likely both men will be in the day’s move. Yesterday proved to be a more tame affair than anticipated for the general classification contenders, instead they were pleased to allow the day’s breakaway to acquire a lengthy lead and decide the stage’s outcome from within their ranks. Having kept their powder dry yesterday, today’s first of two stages in the Alps should see life at the front of the general classification animated once again in 2016’s Giro d’Italia. 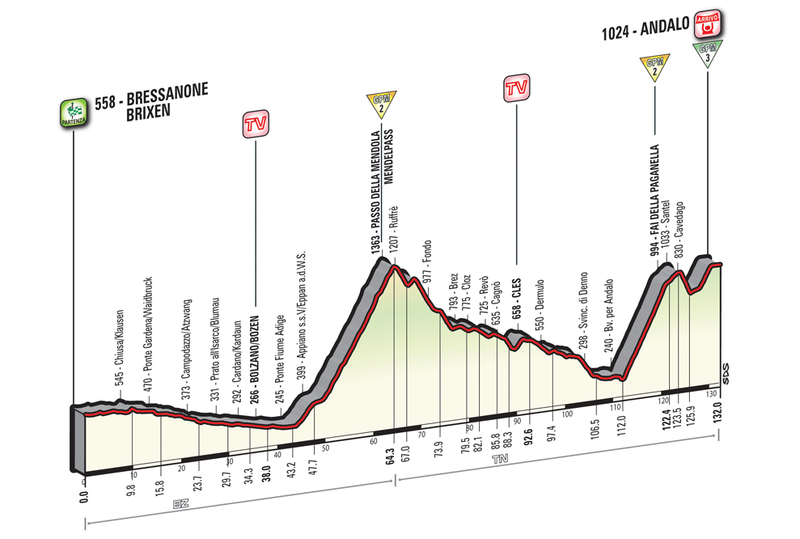 Stage 19 comprises a 162km trip from Pinerolo to Risoul, spending the majority of time creeping upwards for around 80km, ultimately concluding with the 12.8km ascent to Risoul. Steven Kruijswijk appears to have cemented himself as the strongest climber in this race after all attempts so far from his rivals have failed to crack him. Though he may not be directly pursuing this stage as a target for victory, the impetus of other general classification focused teams is likely to reel in the breakaway late on and may inadvertently set the Dutchman up for victory. The climb to Risoul is relatively consistent throughout its ascent and should subsequently play to the strengths of the Dutchman; marking him out as the most likely GC rider to win here. Esteban Chaves is still relatively unconfirmed in regards to surviving the concluding week of a grand tour, but is certainly one of the best climbers here on paper at least. It looks like it will take a perfectly timed and potent attack to finally drop Kruijswijk, so his chances of a stage win are more realistic if he sits back within the lead general classification group and aim to beat the rest in an uphill dash. Ilnur Zakarin looks to be gaining strength as the race enters its final decisive moments and could well be in search of an opportunity to gain time on his rivals and step up to the podium. 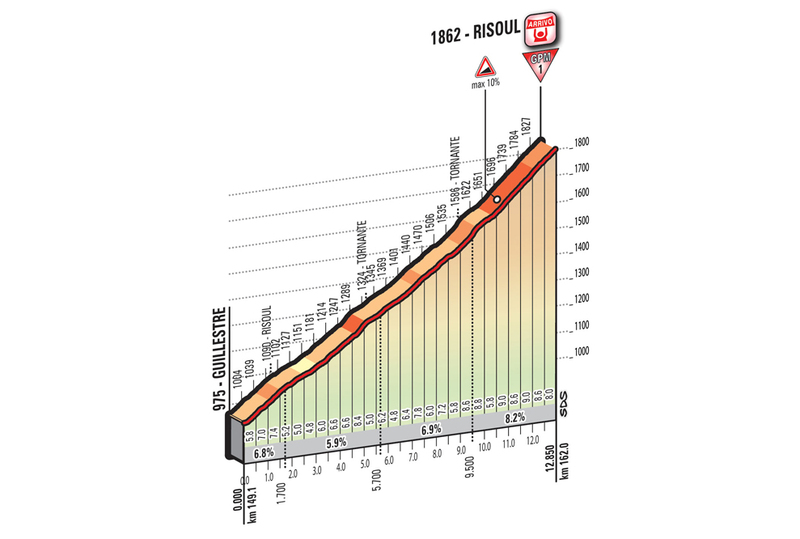 The Russian’s chances of succeeding here increase the longer we have to wait for action from the overall contenders, Zakarin likely to come unstuck if the tempo increases too early on the final climb. Should the action remain limited until the final few kilometres however, Zakarin will be one of the favourites to take time and possibly a stage win. Darwin Atapuma will be aware that a good performance on Stage 19 will place him firmly in the mix to win the mountains classification jersey at this year’s Giro d’Italia. His performance upon the queen stage deserved the win, but he was robbed by Esteban Chaves and his fellow escapees in the final kilometres. With a showing such as that already in the bag, there is no doubt that Atapuma could go the whole way today and win. Sky are still searching hard for another victory and are likely to turn to the likes of Nicloas Roche and David Lopez. Both have demonstrated encouraging signs in the last few days, be it sticking with the GC frontrunners or turning in solid breakaway efforts, thus marking them out as clear contenders. It may also be worth keeping an eye upon Philip Deignan, the Irishman has been anonymous up to now and subsequently makes him a very difficult rider to assess, but his ability to climb should be enough to keep him in the mind of Sky. Giovanni Visconti saved his efforts yesterday and is thus likely to have an eye upon a good performance here in an attempt to make gains in the mountains classification; much like Atapuma. If he is totally focused upon accumulating points, then it is likely he will be out of contention for the stage win as a result of doing his utmost to be first over the Colle Dell’Agnello. Should events develop in a manner which see him part of a lead group deciding the win, then Visconti’s sprinting ability could be enough to better most rivals. 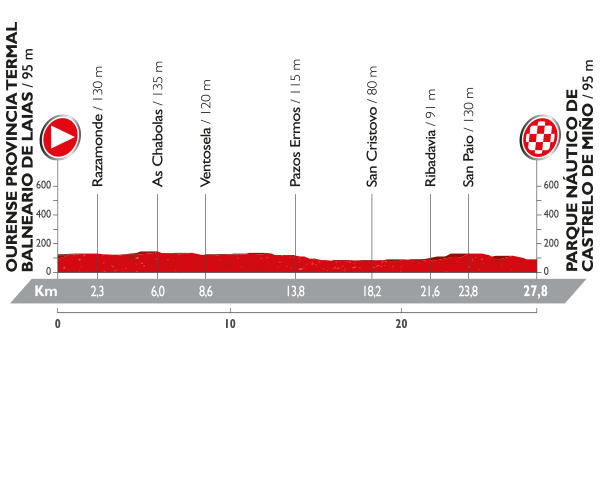 For further breakaway contenders; Tanel Kangert, Ian Boswell, Joe Dombrowski, Blel Kadri, Giulio Ciccone, Rubén Plaza and Amets Txurruka could all play a part. The breakaway caused a huge shock yesterday after an acute lack of coherent chasing during the final kilometres ultimately conceded the day’s outcome by the sprinters, primarily due to a single well timed attack from Roger Kluge after the final corner. Today’s stage will be a manic affair once again, a long flat opening set to provoke rolling attacks from riders desperate to make it into the day’s breakaway, but it is the finale which causes the most interest. 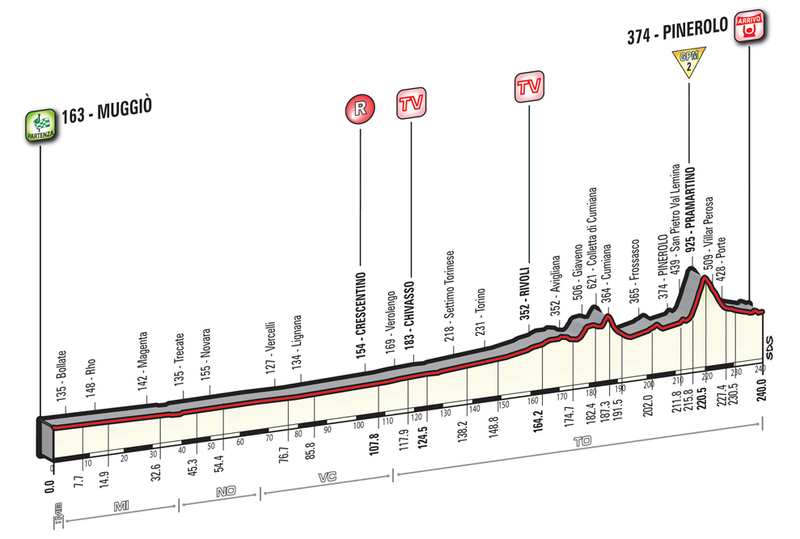 The 240km route from Muggió to Pinerolo features little in the way of challenges for the most part, but the climb of Pramartino will demand an immense effort to surge over its near 20% gradients and could instigate attacks from amongst the general classification rivals. Giovanni Visconti is likely to take centre stage for Movistar on Stage 18, as though the finale does suit Alejandro Valverde, the Spanish outfit will look to limit their team’s efforts in regards to chasing ahead of further stresses in the mountains. 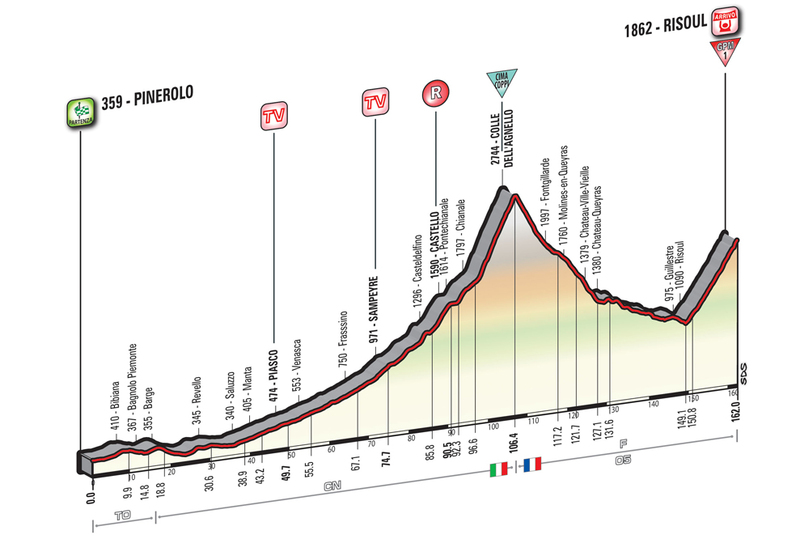 Visconti is in good form thus far at this year’s Giro d’Italia and possesses the required skills to perform convincingly here; climbing, descending and sprinting better that many favourites to make the break today. Tanel Kangert can definitely feature late on here if he manages to join the right move early on, potentially picking up a rare win at this year’s Giro for Astana. The Estonian rider is certainly strong enough to power over the Pramartino climb, though it shall take an immense effort during the early part of the day to join the decisive move. Gianluca Brambilla has already enjoyed a successful Giro d’Italia when taking a stage victory and thus wore the maglia rosa for a short time. The Italian is likely to have seen his powers diminish somewhat, though at this point of the race few remain in the condition they entered in, but this stage is very well suited to his attributes. 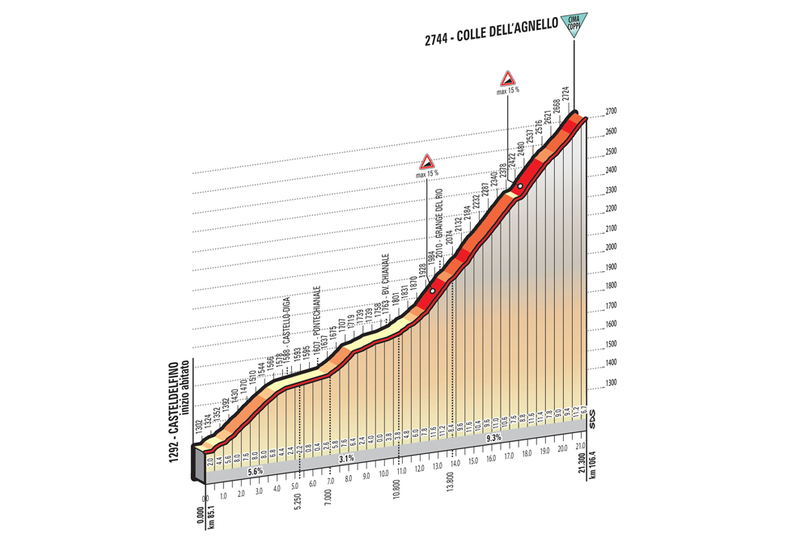 Like many here, the ability to perform well on the Pramartino climb is only half of the equation, as the lighter climbers like Brambilla still face the tough task of joining the day’s move amid a hectic start. Nicolas Roche is likely to pick up the mantle of saving Sky’s Giro today, the Irishman being plenty strong enough to survive the fast paced opening section, while also having enough to survive the final climb in a position which should keep him in contention. Roche can also deliver a good sprint when required, but this is a well known fact, so he might find it difficult to acquire riders willing to join him out front all day. A raft of riders are likely to invest the utmost in featuring in Stage 18’s battle for stage honours; Tim Wellens, Jelle Vanendert, Georg Preidler, Francesco Bongiorno, Diego Ullisi and Moreno Moser all potentially making the day’s moves. 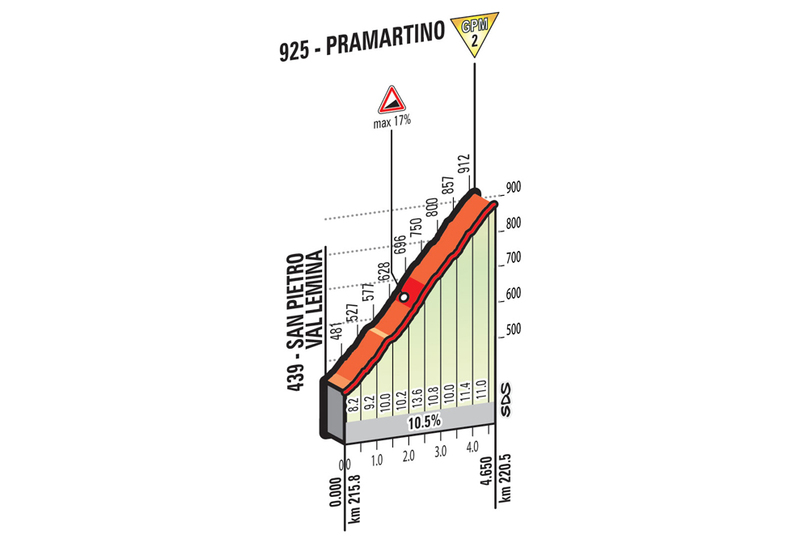 Beyond the victor, the most interesting aspect of today is how the general classification riders will tackle the ascent up the steep Pramartino climb. Blessed with the title of ‘The Shark of Messina’, Nibali should know plenty about tasting blood, but on this occasion it is his rivals who sense that he himself is wounded. The result of this might be a concerted effort by both Esteban Chaves and Ilnur Zakarin to bury the Italian champion with a single well timed attack upon the steepest ramps of Pramartino. Alongside this, Alejandro Valverde may view this as an opportunity worth investing his efforts into, attempting to see Steven Kruijswijk crack for the first time. Regardless of who instigates it, the general belief is that Nibali will suffer the greatest if all hell breaks loose here; Astana will need to be well prepared.